Who loves matcha? ME. What better way to use up my huge pack of matcha powder than to bake with it!This fine green tea powder packs an extreme amount of health benefits to energize you without feeling the downside of coffee. You can also use it in a paper pouch for the ultimate on-the-go tea. Essentially, I use matcha powder wherever I can, whenever I can – whether it’s in my tea, homemade cookies & pastries, or milkshakes, the distinctive yet subtle taste is sure to boost up my mood & appetite. So when I saw this recipe from The New Potato, I had to try it out myself. I even scouted 3 stores to find a donut pan, which is quite a mystical item I would say. Here is my adapted recipe below as I’d like to use more matcha for a deeper, stronger taste. You can find matcha powder in your local Asian grocery store or at David’s Tea, where they have a collection dedicated just to Matcha, but I like to get mine at the grocery where it comes in a bigger pack for a cheaper price. Beat together cooking cream, coconut oil, egg, vanilla, and sugar in a bowl. I added in the milk at this stage (and it was fine) though the original recipe asked to add in the milk after the dry ingredients. Once the wet ingredients are well mixed, add in flour, matcha powder, baking soda, and salt. If you choose to add in the milk at this stage, add 1 tablespoon at a time for consistency. With both milk options, you should end up with a batter that’s not too wet and not too dry. Grease the doughnut pan and fill with batter. 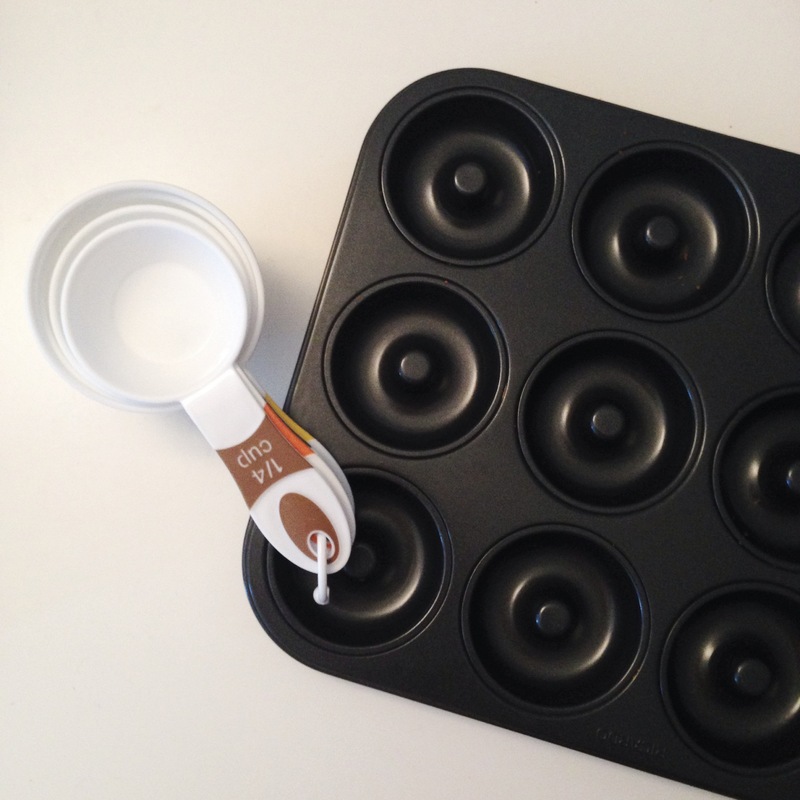 For my 12-donut pan, the batter was just enough to fill all of the holes up to the top. I used a spoon to pat down the batter and made a swirling motion around the top of each pan hole to keep it smooth and consistent. Wipe away excess batter in the middle of the donut hole so that the hole doesn’t close up after it’s baked. Bake for 10-12 minutes and let cool before dipping in the glaze. For the glaze: Whisk together matcha, powdered sugar, and milk in a bowl. Dip cooled donuts into the frosting and let sit until the glaze sets. I dipped the donuts a couple of times and even used a spoon to make glaze drizzles. If you have chocolate sprinkles or other garnishes, now would be the time to do so before the glaze completely solidifies. The second time I made these, way darker colouring and better texture. Enjoy and I’d love to see what you got up to with this recipe! Send in your donut photos to cookbook@theshbang.com.